Swansea University Egyptology lecturer Dr Ken Griffin has found a depiction of one of the most famous pharaoh's in history Hatshepsut (one of only a handful of female pharaohs) on an object in the Egypt Centre stores, which had been chosen for an object handling session. The opportunity to handle genuine Egyptian artefacts is provided by the Egypt Centre to students studying Egyptology at Swansea University. During a recent handling session for an Egyptian Art and Architecture module Dr Kenneth Griffin, from the University's Department of Classics, Ancient History and Egyptology, noticed that one of the objects chosen was much more interesting than initially thought. Yet the mystery of the precious find doesn't end there. On the rear of the upper fragment, the head of a man with a short beard is depicted. Initially there was no explanation for this, but it is now clear that the upper fragment had been removed and recarved in more recent times in order to complete the face of the lower fragment. The replacement of the fragment below the figure would also explain the unusual cut of the upper fragment. This was probably done by an antiques dealer, auctioneer, or even the previous owner of the piece in order to increase its value and attractiveness. It was eventually decided at an unknown date to glue the fragments together in the original layout, which is how they now appear. Dr Griffin said: "The Egypt Centre is a wonderful resource and is certainly one of the major factors in attracting students to study Egyptology at Swansea University". "The identification of the object as depicting Hatshepsut caused great excitement amongst the students. After all, it was only through conducting handling sessions for them that this discovery came to light". "While most of the students have never visited Egypt before, the handling sessions help to bring Egypt to them". Aimee Vickery said: "I have lived in Swansea all of my life and have visited (and continue to visit) the Egypt Centre on a regular basis. It is this interaction with ancient Egyptian objects that led to my passion to study Egyptology at Swansea University. As part of my course, I participate in handling sessions with other classmates. These sessions provide in-depth detail about the objects at the Egypt Centre, and a chance to hold and observe the objects in a new light. I was a part of the handling session that took place when the discovery was made about the Hatshepsut fragment, and I am so pleased about the development! I am so lucky to have been a part of this wonderful discovery, and without the opportunity to handle the objects at the Egypt Centre, is it unlikely that the discovery would have been made." Jamie Burns said: "As an Egyptology student, this discovery is of remarkable significance to me. 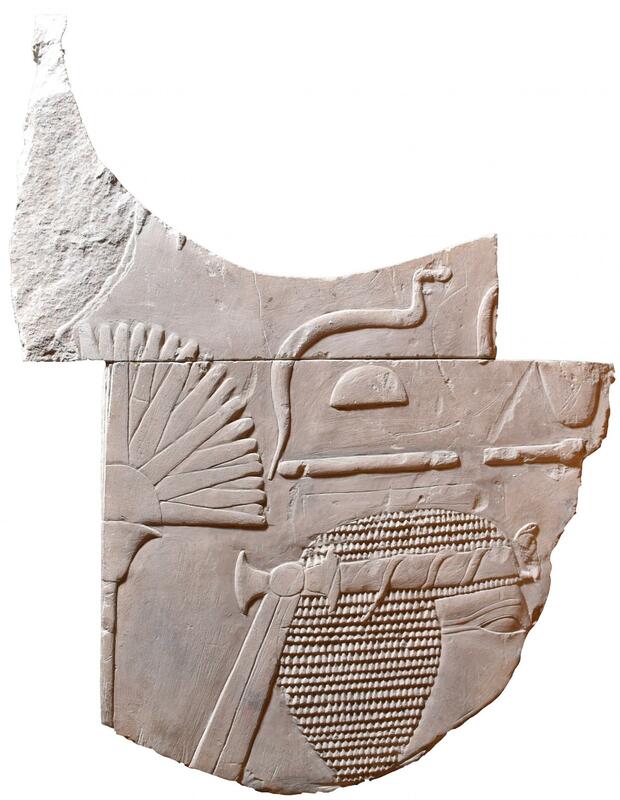 I have been enamoured with Egypt since I was extremely young and to be involved with identifying this fragment as Hatshepsut is extremely exciting. It truly feels like I am part of writing history. The Egypt Centre, where this artefact resides, is a great boon to prospect Egyptologists such as myself. This in particular is why I chose to study at Swansea, as having a location with an array of artefacts on display is a unique opportunity. In addition, it is thanks to the handling sessions ran by Dr Griffin that we are able to touch and feel history as opposed to simply studying it, this adds an unparalleled amount of depth to my studies. This discovery is something I will look back on when I am older and consider it as one of the most important moments in my study." Catherine Bishop said: "Being from Swansea, I have always been able to visit the Egypt Centre, giving extra opportunities throughout my childhood. I was able to study there during my A-Levels, analysing some of the objects, which sparked my interest in Egyptology, which I am currently studying. The handling sessions held by the department have been very insightful and it's an opportunity for hands on contact which very few universities offer, especially to the extent to which the Egypt Centre provides. The discovery of the Hatshepsut fragment has been a highlight of the course, in particular, being able to see how research develops from an original theory, all the way through to an insightful discovery!" Picture 1: Swansea University Egyptology lecturer Dr Ken Griffin with the newly discovered artefact. Picture 2: The front of the artefact. Picture 3: The rear of the artefact. Picture 4: Realigned artefact to show how the face could be completed.